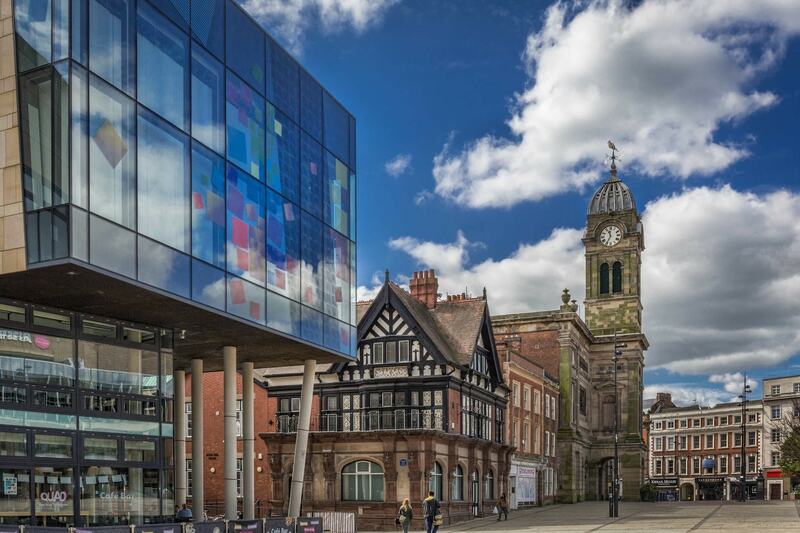 Unique independent shops, great cafes, restaurants and bars, stunning arts and cultural venues and historic landmarks – Derby’s Cathedral Quarter has it all. Voted ‘Best City Location’ at the 2016 Great British High Street awards, the Cathedral Quarter is home to over 500 businesses and is synonymous with a diverse range of premium brand shopping and designer goods, with many shops offering well-known brands as well as items not available anywhere else in the city. If it’s a spot of pampering you need, you will find some of the best independent and national names in hair, health and beauty whilst afterwards the myriad of cafes, bars and restaurants provide the perfect opportunity to relax and enjoy the wonderful surroundings. With a host of fantastic cultural venues, as well as family friendly street entertainment, there is always something happening in the Cathedral Quarter and, if your stay is for a weekend or even longer, the Cathedral Quarter has a great choice of hotels in which to stay. Whilst here, look out for the Cathedral Quarter Rangers, dressed in their distinctive burgundy uniforms, here to welcome you and guide you to wherever you want to go in the area. We look forward to seeing you soon! 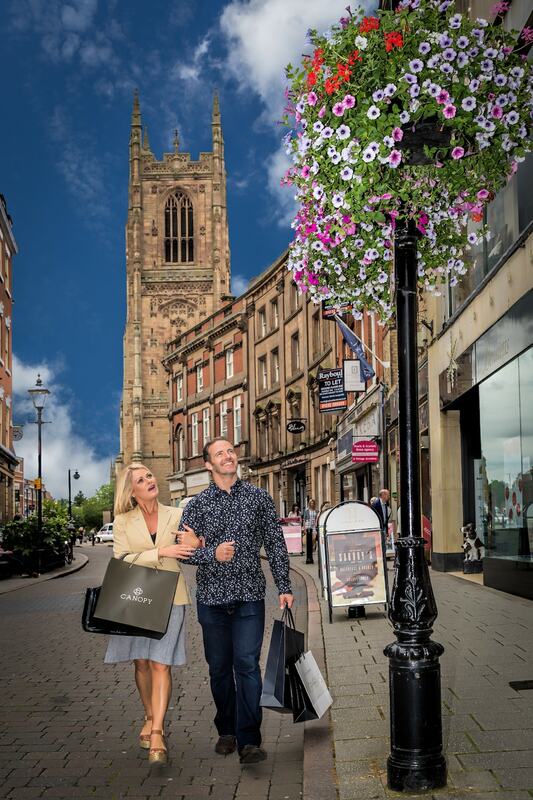 The beautiful surroundings, historic architecture and the nature and quality of the businesses makes the Cathedral Quarter the perfect lifestyle destination. You will find all you need in the area, whether its shopping and a bite to eat or a movie and a night on the tiles, whilst you can relax and enjoy it all at a pace which suits you. By day you will find a lively café culture, with outdoor seating set amongst the attractive streets – the ideal place to meet with friends, kick back or watch the world go by over a nice cup of coffee. Weekends often see a variety of on-street entertainment, providing animation and fun for all the family. In the evening, the Cathedral Quarter is transformed into a hive of activity with a plethora of bars, pubs, and nightclubs in which to socialise or dance the night away. Alternatively, you may wish to take in a movie or theatre production or simply enjoy a late-night beverage. 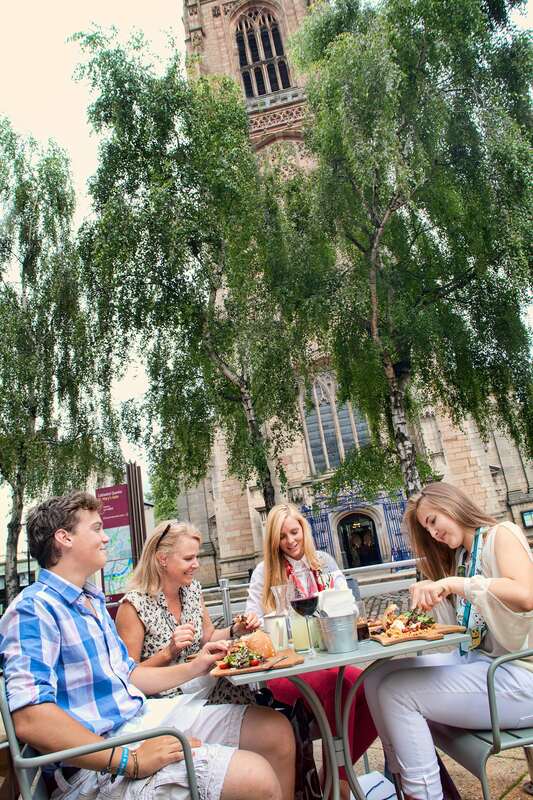 Whatever your mood, whatever your needs, the Cathedral Quarter is the destination for you. The Cathedral Quarter has proudly preserved its charm and character over the centuries and mirror’s the city’s rich tapestry of culture and heritage. It is the historic heart of the city with much of the architecture dating back to Tudor, Georgian and Victorian times. The mainly pedestrianised streets allow you to wander at your leisure and to soak up the unique atmosphere of the area. Perhaps the crowning glory is the splendid Derby Cathedral with its 16th Century 212ft tower. Grade II listed St Werburgh’s Church is a superb example of gothic survival architecture whilst the Silk Mill Museum stands on the site of the world’s first factory and is part of the UNESCO World Heritage Site. You will also find the Cathedral Quarter an excellent place to learn more about the importance of the city in major historical events, from the birth of the industrial revolution to the demise of Bonnie Prince Charlie.